Were located near companies Unilever, Staples, LG Electronics and CNBC, and just minutes away from Columbia Presbyterian and Englewood hospitals. For the finest business hotel New Jersey has to offer, choose Crowne Plaza. Our newly Renovated Crowne Plaza Englewood offers easy access to popular area attractions and LaGuardia, Newark, Kennedy and Teterboro airports. Our hotel in Englewood, New Jersey, has every amenity you need for a seamless business or leisure trip, from free Wi-Fi to a complimentary shuttle. To get to know our area, be sure to visit the Shops at Riverside or take a short bus ride to Yankee Stadium or Midtown Manhattan. 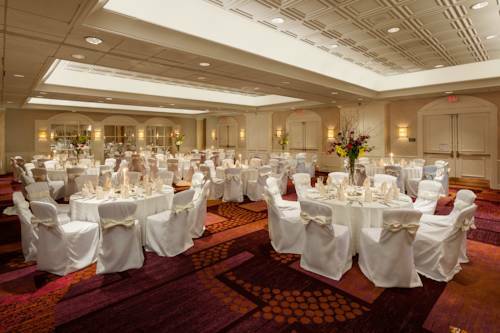 If youre looking for the best event space in northern New Jersey, we provide nearly 5,000 square feet of flexible function space perfect for gatherings of up to 275. With a certified Crowne Plaza Meetings Director and daily debriefs, your event will run smoothly from start to finish. Bogota Golf CenterMiniature Golf is a great way to spend time with friends, the kids, a date and group functions. What's even better is that we are open all year round. Since our 18-hole course is indoors, sunshine, snow, sleet or rain, no problem.